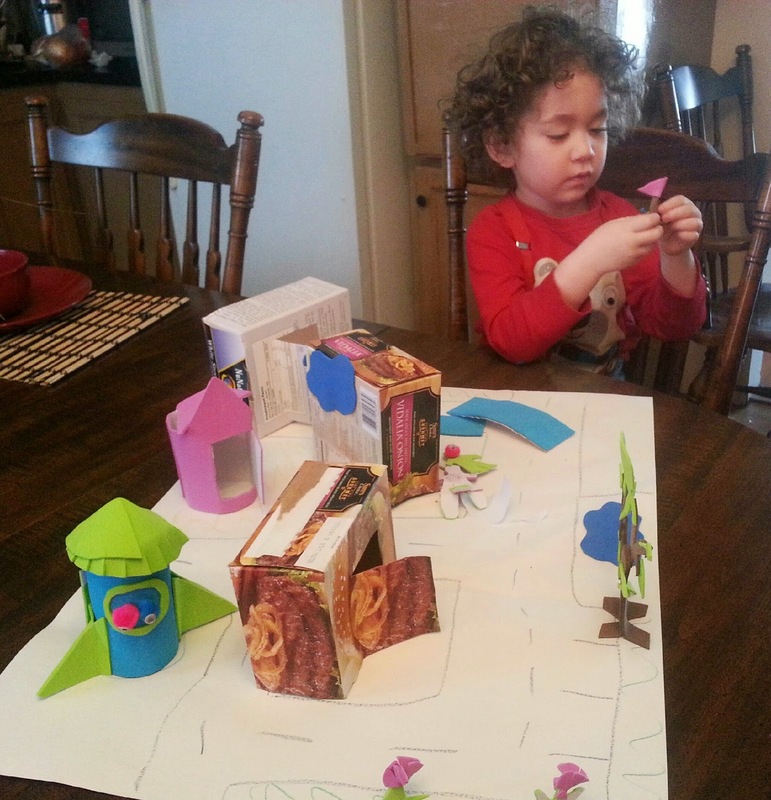 I spent the day with my grandson and we found lots of interesting projects to keep us busy. Our first project was making an afternoon snack. My grandson likes ice cream but dairy and gluten are not allowed in his diet. So, grandma had to find a good alternative for Little Bug. I started making a simple Italian Ice from an old memory of my grandmother making Italian ice for the family. 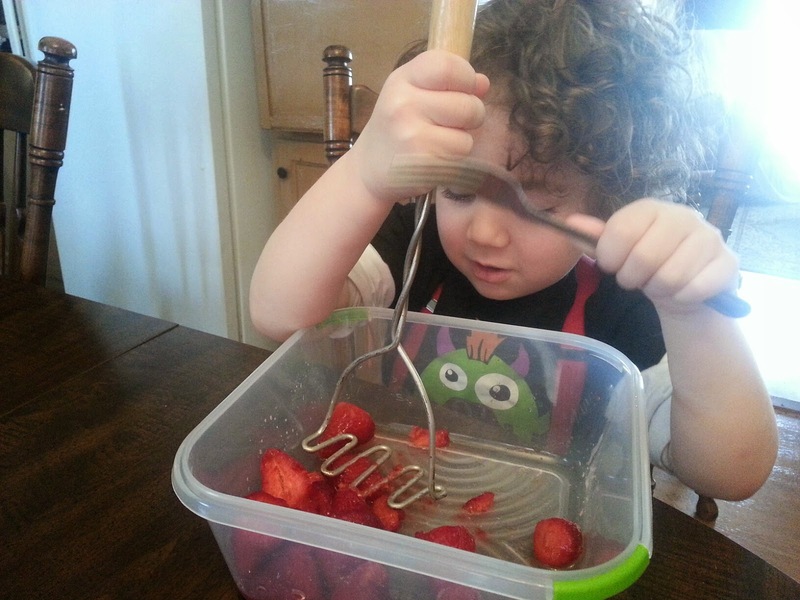 That's Little Bug mashing the strawberries. After mashing one or two cups of strawberries I added 1/4 cup of water and 1 tablespoon of sugar. I suggest sweeten to your taste. Cover the strawberry mash and freeze. Take the strawberry mash out of the freezer about every 30 minutes and break up with a fork. This will stop it from forming a large frozen Popsicle block. 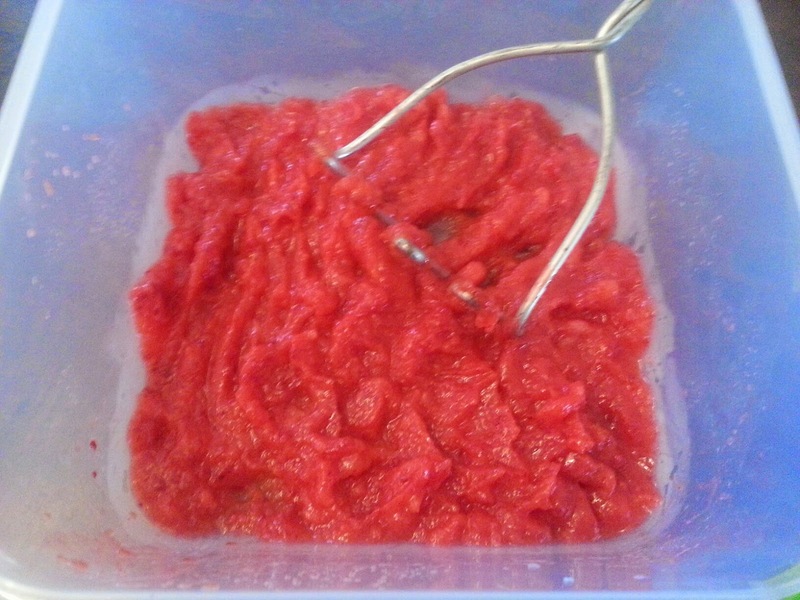 About two hours or so your Strawberry Italian Ice will be ready to enjoy. 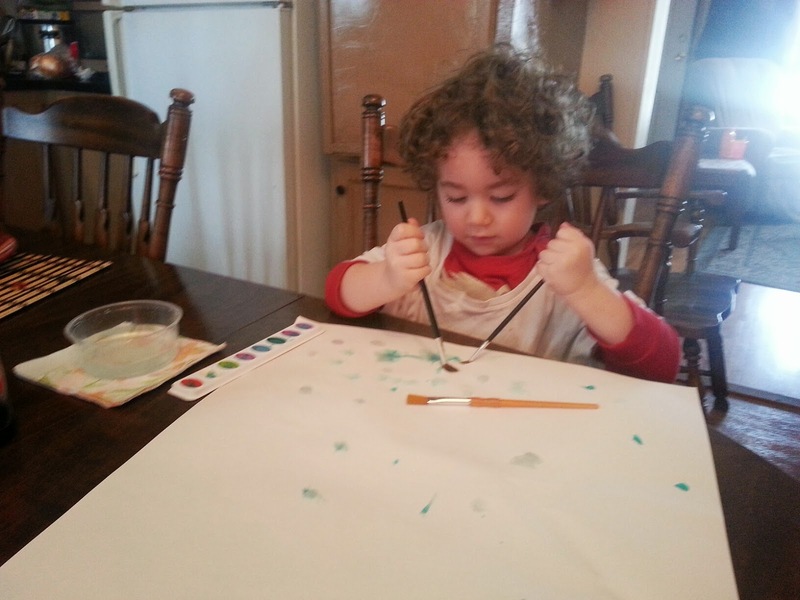 While waiting for his snack to freeze Little Bug did some painting. 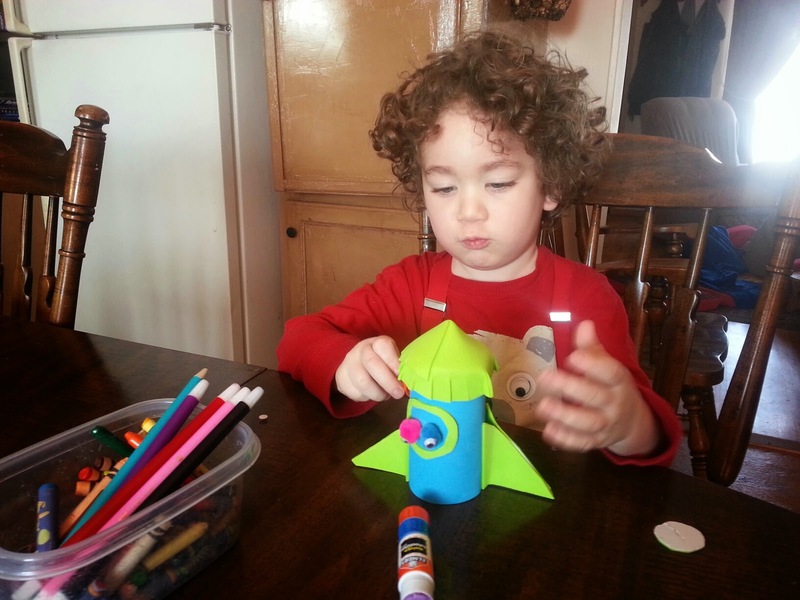 Later on I pulled out some craft foam and we made a rocket ship and some space aliens. 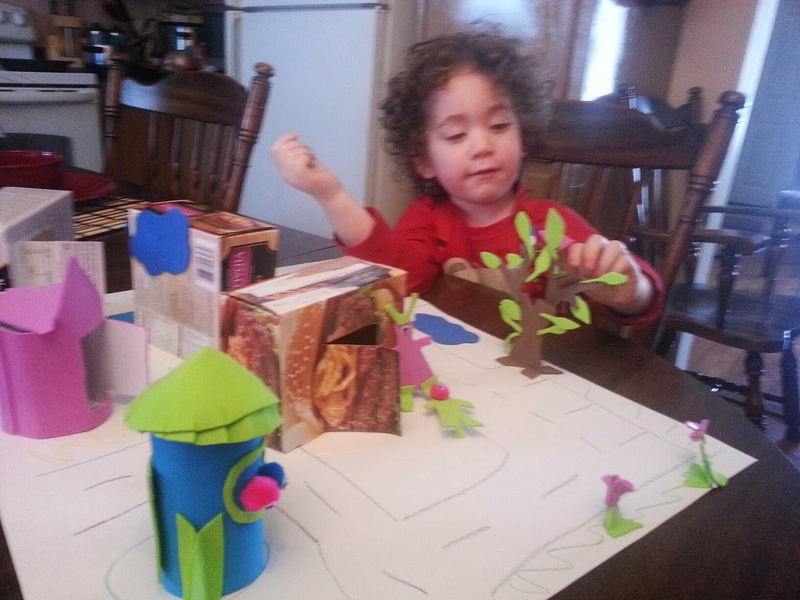 Little Bug wanted to make a city for his aliens so of course I helped him make a great city for him to enjoy. That was our great day! How was yours? Hi There, We are home from George's fabulous birthday trip. I will blog about it tomorrow. It was truly a trip we will be talking about for a VERY long time!!!! Looks like you and your grandson had a wonderful time together. He obviously is quite talented and creative... His 'treat' sounds great!!! I love Italian ice and I bet I could make it using my stevia instead of the sugar. Sounds really good and I just bought some strawberries. Thank you for your recipe. I have been meaning to try Italian ice with my boys. You just gave me the push I needed to make some.